Take for yourself quality spices. 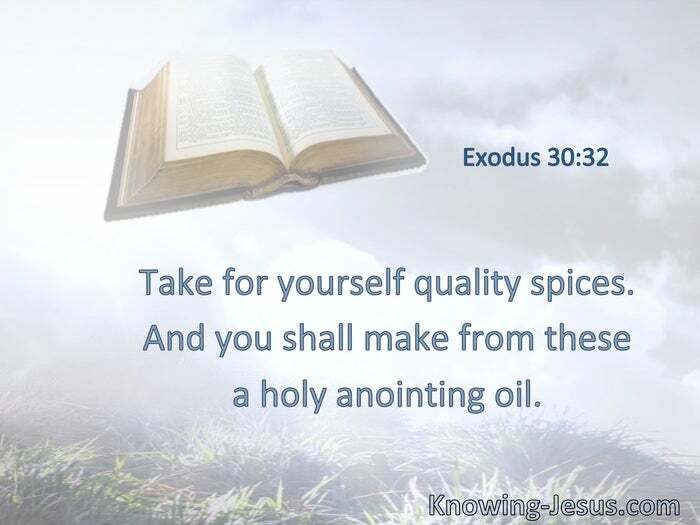 And you shall make from these a holy anointing oil. It shall not be poured on man’s flesh; nor shall you make any other like it, according to its composition. It is holy, and it shall be holy to you. § One Spirit. § Diversities of gifts, but the same Spirit. God, Your God, has anointed You with the oil of gladness more than Your companions. 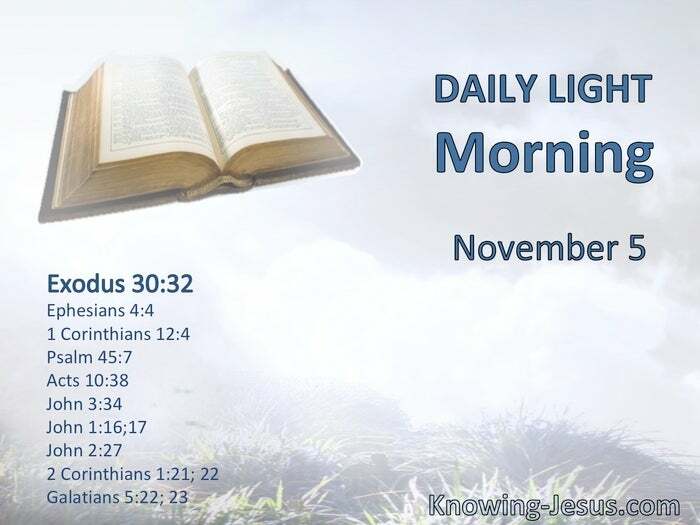 § God anointed Jesus of Nazareth with the Holy Spirit and with power. § God does not give the Spirit by measure. Of His fullness we have all received. § As the same anointing teaches you concerning all things, and is true, and is not a lie, and just as it has taught you, you will abide in Him. § He who … has anointed us is God, who also has sealed us and given us the Spirit in our hearts as a guarantee.